Does your company practice recycling in Atlanta? 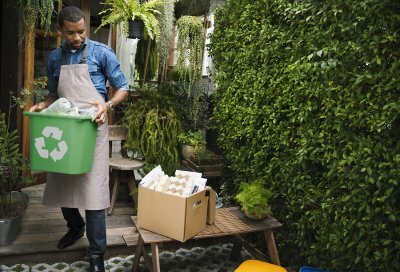 If not, then you may be interested in learning about the benefits that commercial recycling programs offer business owners. 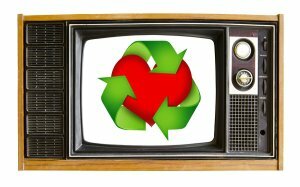 Continue reading to learn about the importance of commercial recycling. Recycling benefits the environment in many ways. By recycling materials instead of throwing them in the waste bin, for example, your company can help reduce the amount of trash sent to local landfills. Also, recycling lessens the demand for raw materials that would otherwise need to be refined or mined. In this way, recycling can help reduce energy needs and the impact of mining and manufacturing on air quality and the environment. 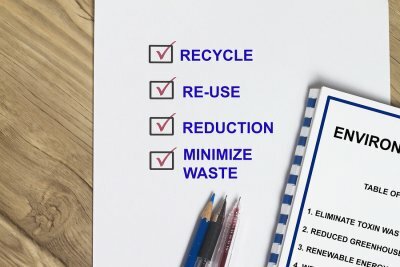 Instituting a commercial recycling program for your company is more than good for the environment because you can save on waste collection costs by tossing more of your waste into recycling bins. By using containers for metal, paper, and plastic recycling, you can potentially cut down on the number of dumpsters or trash pickups that your company requires. When companies begin a recycling program, it’s common for areas of unnecessary waste to come to light. 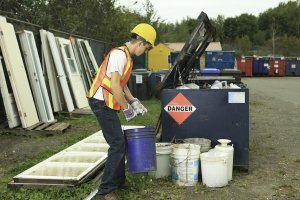 By paying more attention to the type and amount of materials that you use and adjusting your practices, your company may be able to spend less money on supplies and waste collection. Going green is an excellent way to improve the way that the public views your company. For this reason, you can benefit from conducting an energy audit of your facility and learning where your biggest areas of improvement are. Then, you can enhance your company’s public image by tracking and reporting the progress of your green programs. With the growing awareness of the impact of recycling on the environment, more and more people expect to be able to recycle in the workplace. Beginning recycling programs and similar ventures are excellent ways to improve employee satisfaction by helping them help their environment. At Southern Waste and Recycling, we understand that many companies want to reduce the expense of their waste removal services and decrease the amount of trash that ends up in landfills. We’ve made a commitment to helping our customers reach their goals via our Zero Waste to Landfill Initiatives. With more than 50% of the waste near Atlanta being buried in landfills, we believe these initiatives are very valuable. Taking advantage of our sustainability models will help your company save money and be more eco-friendly. Adopting zero waste policies by recycling and eliminating sources of waste within your company can also make you more attractive to new customers and investors. Our services allow us to recycle more than 80% of our customer’s waste at our recycling center. We also return usable materials back to the economy while saving landfill space. These programs can save our customers up to 30% on their waste management costs. 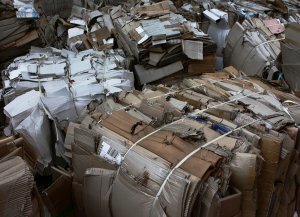 We can recycle a variety of materials, such as ferrous and non-ferrous metals, plastics, film, pallets, wood crates, electronics, mixed paper, and cardboard. We can even repurpose traditionally non-recyclable materials, such as food waste. 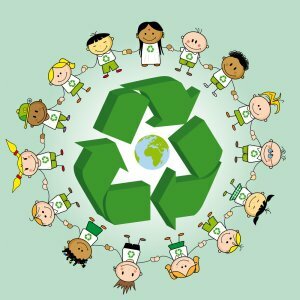 “Reduce, reuse, recycle” is an important mantra to keep in mind, but it is also important that you remember that not everything can be recycled. Recycling rules typically vary by city or area, and certain waste materials cannot be taken in; search the Internet to find out about your local recycling rules so you can make sure that the waste you recycle is indeed recyclable. It is also important to look out for companies that encourage you to participate in their recycling programs, despite the fact that their programs are still harmful to the environment . 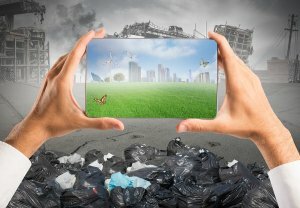 If you want to practice optimal commercial and industrial waste management techniques in order to keep your business environmentally friendly, the first step is always staying informed. 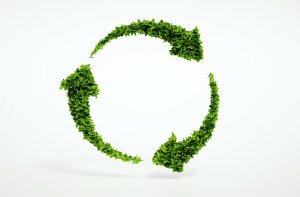 Once you determine which items cannot be recycled, consider the first two aspects of the mantra: reduce and reuse. Avoid purchasing and using unrecyclable products in favor of greener alternatives. If you do decide to use products that cannot be recycled, consider how you can repurpose them before making the purchase. Each month, we will take a deeper look into each of these components. We welcome the opportunity to talk with you at any time about our commitment to be good stewards of the environment and how we can help you with your own sustainability initiatives. Call us at 866-228-3668 . Organizations that embrace sustainability find that their efforts yield stronger financial performance and profitability, improved investment from stakeholders and enhanced employee commitment. They also enjoy an improved reputation and increased brand awareness for their products and services because of their sustainability initiatives. The concept of sustainability is easy to grasp at a high level. But as you get into the nuts and bolts and put theory into practice, this concept becomes more complex. What is the impact on a business’ strategy and day-to-day operations? How will the organization’s stakeholders be affected? How can you measure the impact of your operations, products and services on the environment? How can you improve on a continual basis? While the specific metrics in what is often called the “sustainability index” ultimately adopted by each organization will be unique, at Southern Waste & Recycling we’ve identified five key factors that we believe are not just worthy of evaluation but merit clear definition and critical assessment (at regular intervals) in order to implement and maintain an effective sustainability program focused on reusing, repurposing and recycling.